When an emergency occurs, you need to act quickly to alert employees, customers and guests. Emergency messaging can be updated from a Twitter account for fast and easy access. Messaging will appear in a timely manner, allowing everyone to get to safety. If inclement weather strikes, emergency alerts can be used to inform your employees of any shift cancellations or company updates. 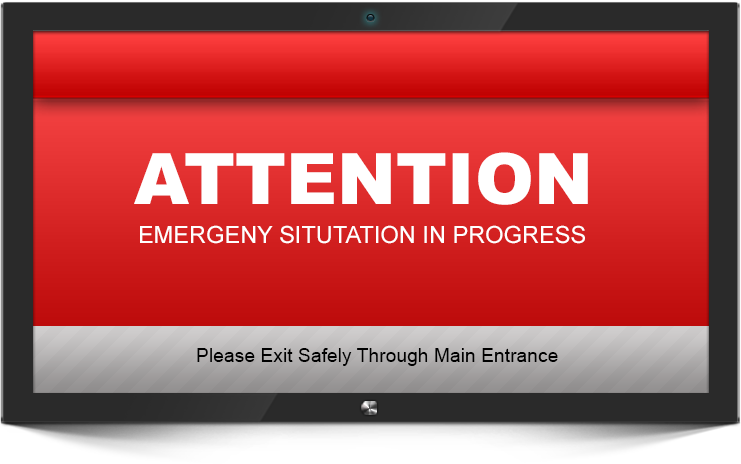 Utilizing emergency alerts for your digital signs is a great way to ensure that your employees and guests remain safe.